Tired of corporate architecture? Tired of being pigeon-holed into the same work, day-in and day-out?Join a family of architects recognized worldwide for its contribution to positive social change. We create cohousing communities, eco-villages, cutting-edge affordable housing communities and childhood development centers. As a member of this team, you will be able to research and implement the newest and best approaches to sustainable design. Work in a warm, comfortable environment in the historic downtown of Nevada City, California -- a small town in the Sierra Nevada -- close to world class skiing, hiking, climbing, mountain biking and water sports. To be an effective member of this team you must be a proficient artisan and very motivated to do the right thing. You will use your knowledge and experience (a minimum of three years) in designing multi-family housing , mixed-use projects and put your sense of social responsibility to good use. Within a small office you will get to do some of everything including project management and use your sense of humor and ability to be flexible. This is a full time, on site position. Cohousing communities make up a substantial portion of the work at McCamant and Durrett. Katie McCamant and Charles Durrett wrote the book on cohousing and have been instrumental in its spreading success throughout the country. Cohousing consists of private townhouses and flats clustered around extensive common facilities in a pedestrian environment. Cohousing communities are self-developed by their future residents. From initial planning through the life of the community, residents share responsibilities, the decision-making process, and common meals (usually a few times a week). McCamant and Durrett is involved at every stage in the creation of this exciting housing model from initial design workshops through construction. Send cover letter, resume, and portfolio to Charles.durrett@cohousingco.com. We will call you to set up an appointment. The cohousing movement is growing rapidly as people recognize the importance of environmentally-conscious design and see the benefits of living in community. It is our aim to prepare architects to work with cohousing communities, therefore making cohousing an accessible option to a greater population. We do this by offering a six-month paid architecture internship each fall and spring, and shorter volunteer opportunities at our office in Nevada City, CA. It is critical that architects are trained to design cohousing communities by those who have already proven successful in doing so. 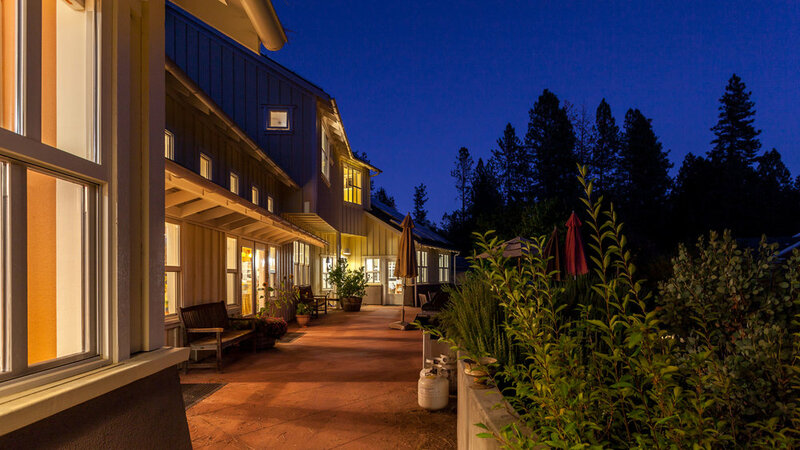 To date, MDA has designed over 50 cohousing communities in North America – more than any other firm -- and have consulted on many more. MDA interns gain essential tools that are transferrable post-internship from a firm recognized for being a leader in the cohousing movement. If you are interested in joining a growing housing movement in the U.S. and learning from the best, we want to talk to you. Email us at info@cohousingco.com or call Lindy at 530-265-9980 to learn more. Our mantra is, "If it doesn't work socially, why bother?" If you agree with that and want to contribute to making sure that our project are beautiful and resilient, we want to hear from you. For additional information, please visit our website www.cohousingco.com, and send your resume and cover letter to mda.admin@cohousingco.com.